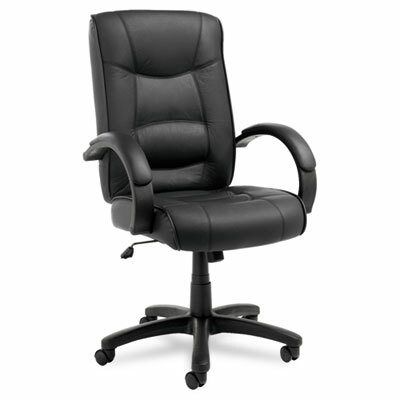 Sink into this luxurious high-back chair for all-day office comfort. Tailored seat and back with top-grain leather upholstery. Waterfall seat design reduces pressure at the back of your knees for improved circulation. Roll armrests feature padded leather caps for added comfort. Heavy-duty nylon base has dual-wheel casters for easy mobility.